Our mobile app is now enabled to have Single Sign On (SSO) for the ApplicInt Integration. This allows the ApplicInt Login screen to be bypassed when submitting applications through the app. SSO is set up on a user by user basis. This feature is available in app version 4.4 and above. First, make sure the user is registered with ApplicInt. Your agency should have its own unique registration link. Please reach out to support@applicint-usa.com if you need this link. Each user that registers in ApplicInt's system automatically has a Trusted Code associated with the user. This Trusted Code is what is needed to set up SSO in the app. 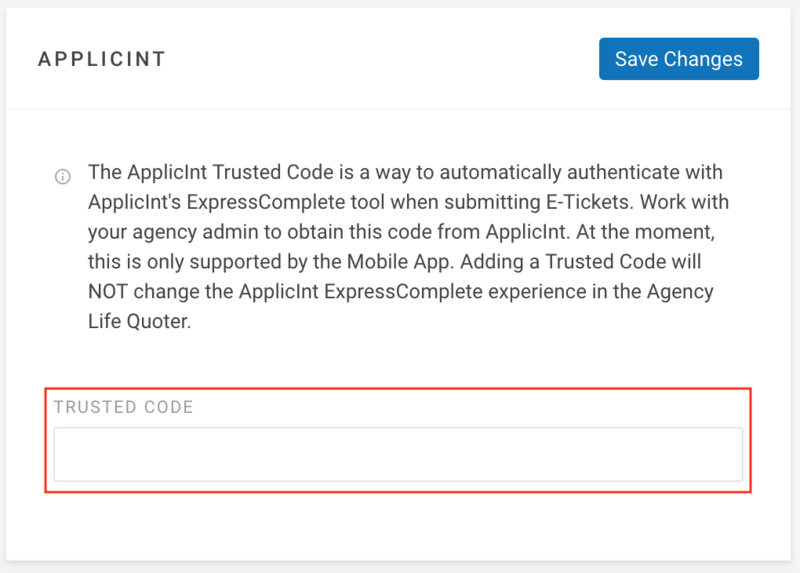 Each user's Trusted Code will need to be entered into your Agency's IXN Dashboard. You can input this information in two ways. Importing ApplicInt Trusted Codes in Bulk. Log into ApplicInt's backend system at applicintexpress.com. You will need Admin permissions for ApplicInt. Select User Administration in the left-hand menu. Select Export and follow the steps to export a UserReport.csv with the desired users. The remaining steps for IXN are found in this guide - How to I add members to my agency in bulk? Entering Trusted Code for a Single Member. 1. Log into dashboard.ixn.tech and select Members. Choose the member to update. If you need to add the member in your IXN Dashboard, follow this guide - How do I add a single member to my agency? 2. Once you've selected the member, use the General drop down at the top of the page and select ApplicInt. 3. You should see a space to enter the Trusted Code. After saving the changes, the member will be able to start using SSO right away! We are excited to bring this improvement for the ApplicInt Integration to you! If you have any questions or feedback, feel free to reach out to our Support Team at support@ixntech.com or call 800-250-5152 Ext 3.